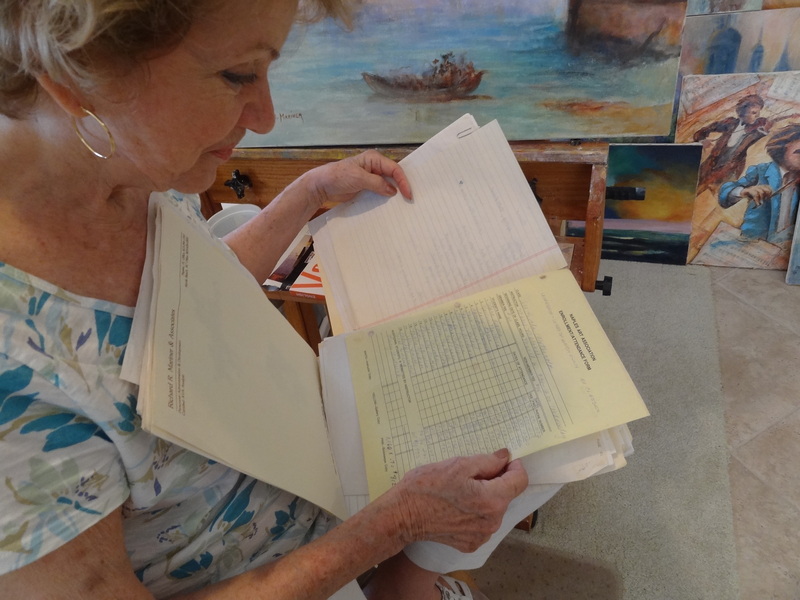 Artist Mary Mariner remembers the Naples Art Association from earlier days. 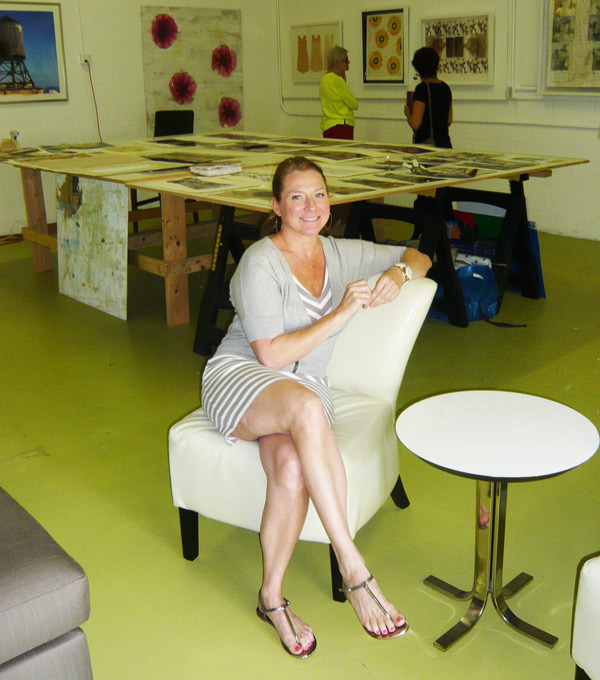 When she and her husband began travelling here as seasonal residents in 1992, one of the first things she did was to seek out the art community. She wanted a place to learn and create art and a place to meet others with similar passions. 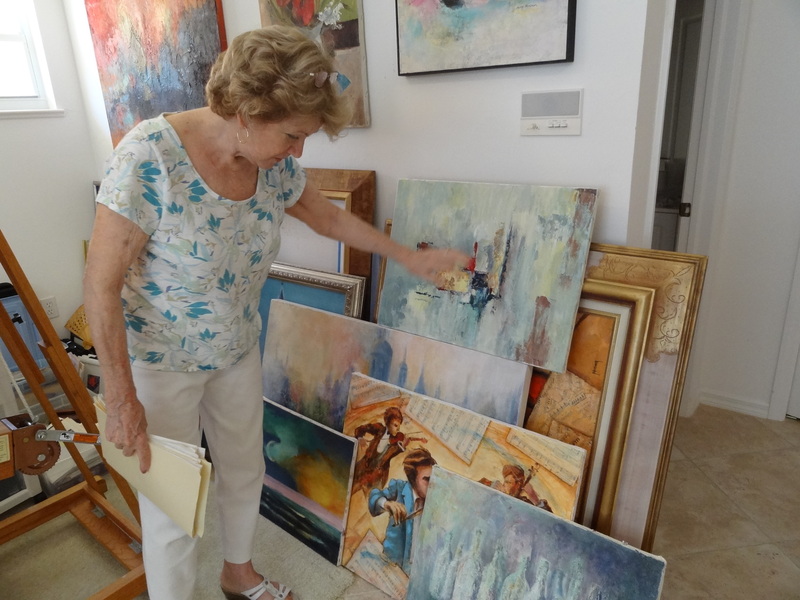 She found the Naples Art Association, and has been a member ever since. With her newfound dedicated community of fellow artists she explored new creative territory, and just two years later, she decided she’d like to live here permanently. When she shopping for a home in Naples, she sought one with great studio space. 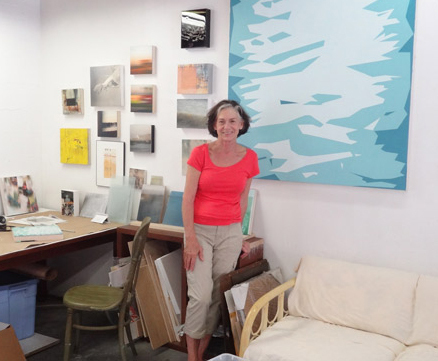 Mary Mariner stores beautiful finished canvases alongside one wall of her studio. Her townhome in Naples includes a 500 sq. ft. working art studio, which is flooded with natural light and filled with her artwork. A couch and chair with a coffee table full of magazines sits on one side and bins of collage materials and finished paintings behind her easel and paints are set up on the other side. A closet across the way holds books by artists who inspire her. 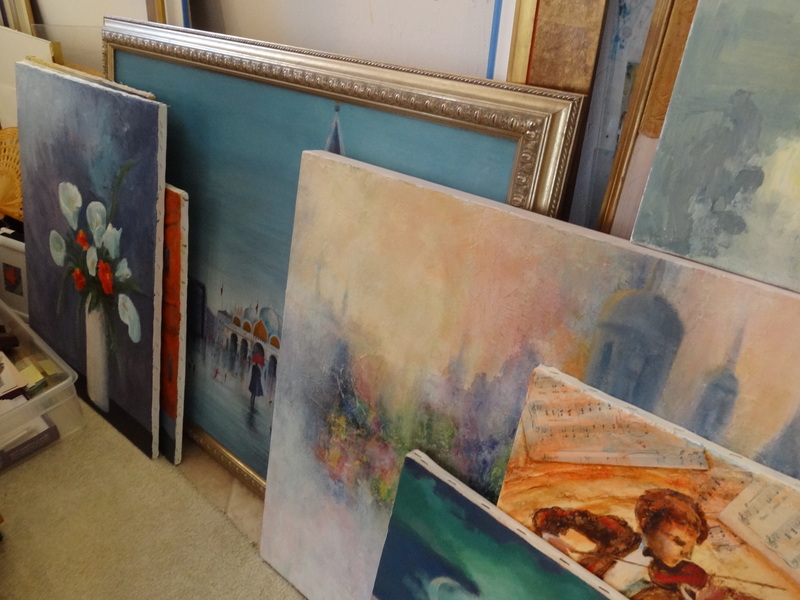 The walls of her home in every room are filled with artwork. “Art makes me happy,” she said. 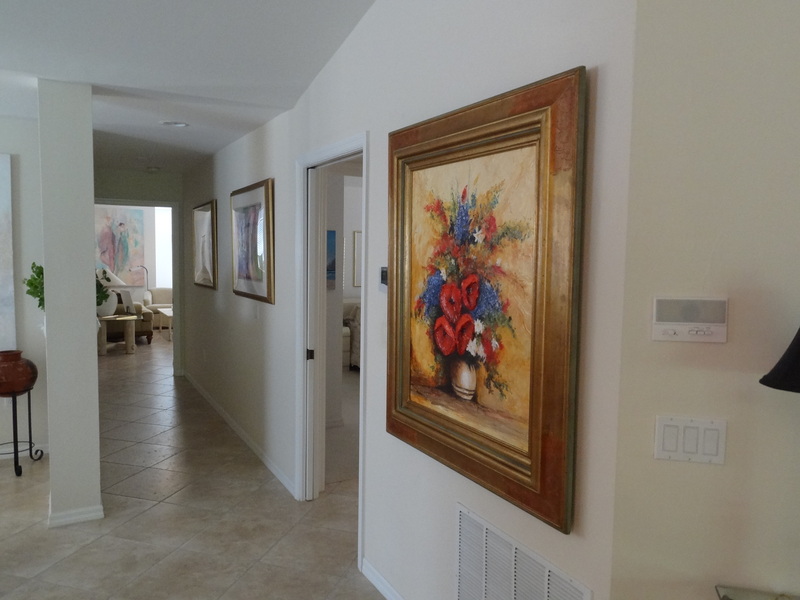 Mary Mariner’s home is filled with her artwork even from the entrance. This gorgeous piece wows guests at the top of the stairs. Her studio is at the end of the hallway shown here. 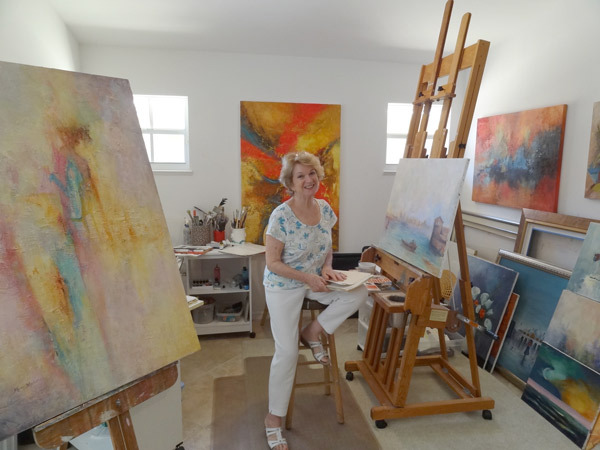 Mary Mariner helped to bring in inspirational travelling artists to teach workshops and also personally taught classes for the Naples Art Association. She remembers Carol Barnes, Charles Movalli, Wolfe Kahn and especially Mary Todd Beam for the lessons and tips they shared. Mariner taught art classes and helped arrange special guest artist workshops with the Naples Art Association at the Naples Depot. She still has the paper attendance records. They’ve all influenced her style in some way, she says. Mariner describes her painting as experimental art. She started out working in oil painting, then later with watercolor and charcoal techniques. No matter which medium, she lets herself get absorbed by the colors and emotions of her art. She builds on a piece, adding a fleck of light here and playing with texture. “Sometimes amazing things happen!” she said. 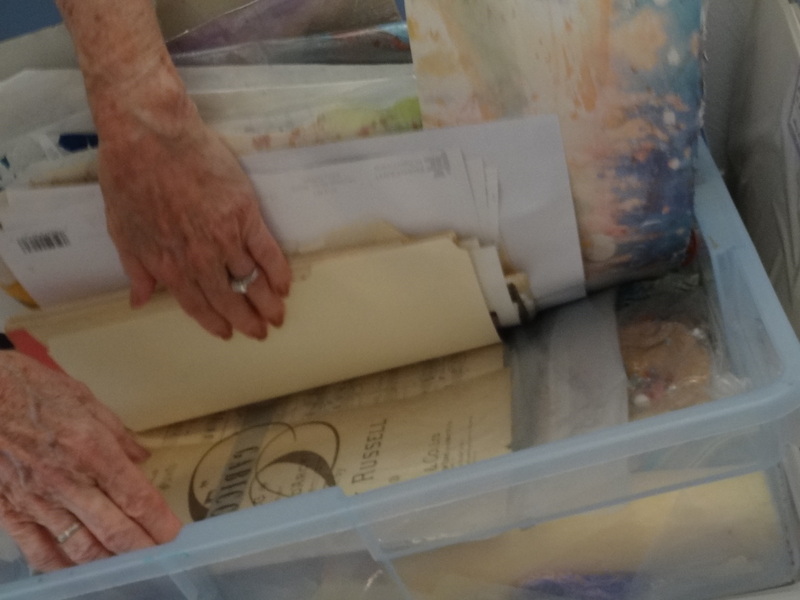 She still collects interesting paper from secondhand stores and other sources to be used in her work. She saves it in this bin in her studio. 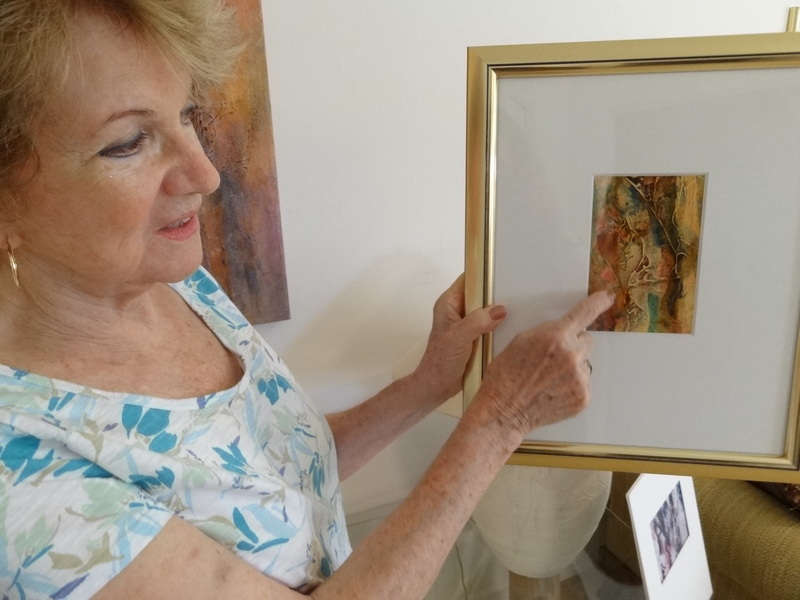 She recalls the time she participated in Art in the Park with the Naples Art Association. “I took about eight paintings or so with me. We leaned them against the trees for buyers to see. I sold five or six of them!” She has also been a part of Naples Art Association Members’ Gallery shows and the Naples National Art Festival. Through her participation with the NAA, Mariner’s work was discovered by a curator for Gallery One (when it was located on 13th Street in Naples), and they were one of the first galleries to accept her work for representation. Mariner talks about the golden accent that she used in this artwork to add an additional layer to her design. She’s also experimented with texture, using gesso and other materials to create a three-dimensional affect in her art. Before moving to Naples, Mariner lived in Baltimore, Maryland. It was where she first fell in love with art. In high school, she had a Thursday class in art, and she anticipated it eagerly each week. She later studied fine art at Cantonsville Community College and Western Maryland College. Fondly recalling trips to Italy and elsewhere with her late husband, Richard. She would take photos and paint scenes of the beautiful places she’d travelled. 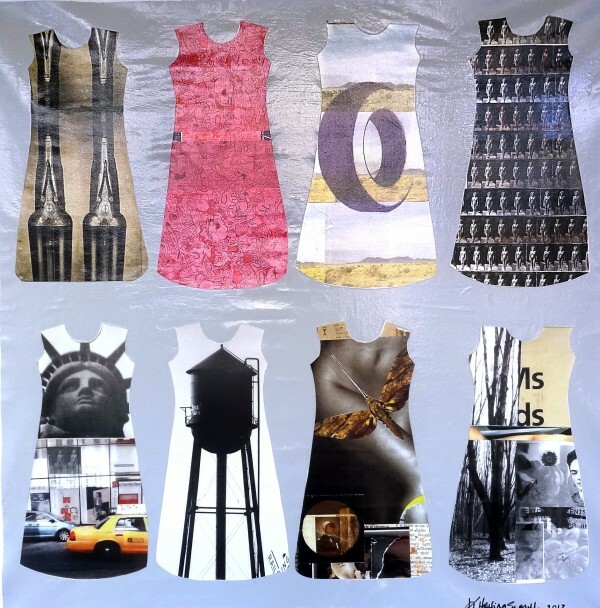 She’s worked within themes and has a full series of paintings that incorporate antique sheet music in collage with paint. Art has always been a part of Mary’s life, though it hasn’t always taken a front seat. She took some time after college to focus on raising her three children. As soon as she could, she sought out art instructor Luigi “Gino” Manneli, who was known for his use of color and light, to get back into painting and to keep learning. Recently, she is coming off of a seven-year break, and is excited about getting back into her studio with more enthusiasm. 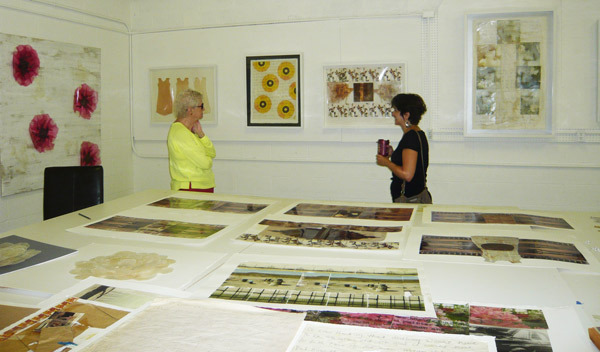 Become a member of the Naples Art Association and sign up for classes and workshops.